To RSVP, email Development@tennesseebig.org or call 865.523.9455. 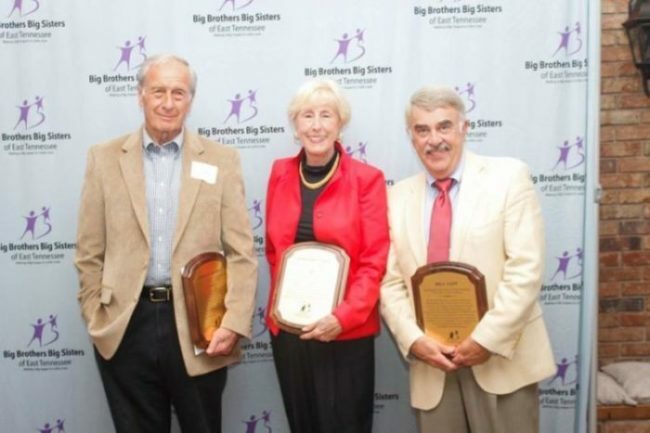 The BBBS-ETN Hall of Fame is a platform to recognize those individuals who have been instrumental in providing direction, energy and support to the shaping of BBBS-ETN since its inception in 1970. Congratulations to our 2018 Hall of Fame Class. 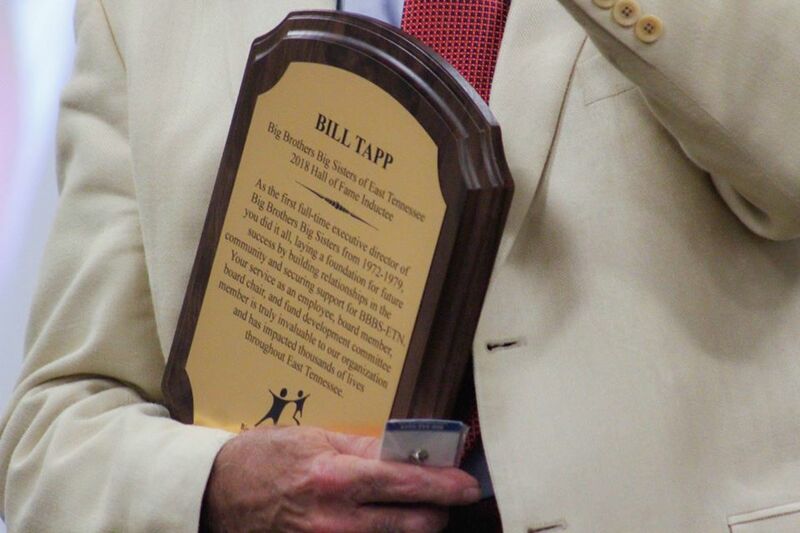 >> The 2019 Hall of Fame Induction and Scholarship Awards Celebration will take place on Thursday, May 16. Registration will open this spring! >> View photos from the 2018 event. >> More information on scholarships below.  The BBBS-ETN Hall of Fame Committee is seeking nominations for the 2019 BBBS-ETN Hall of Fame class. 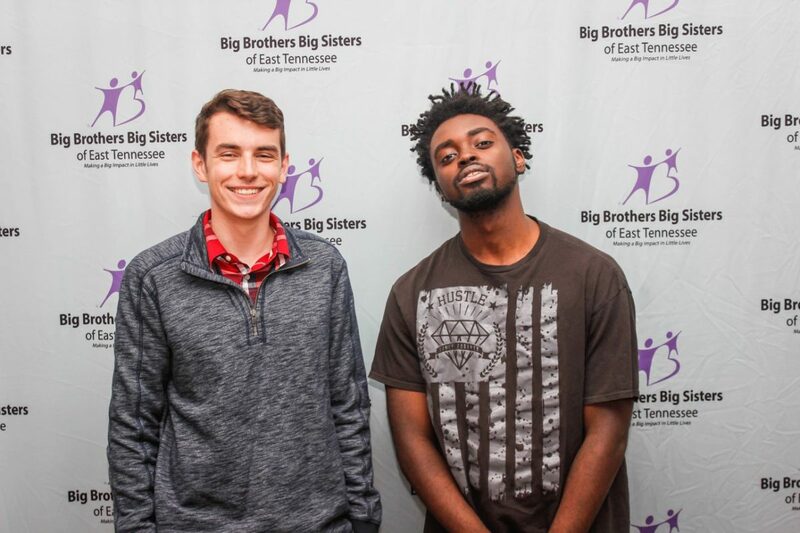 Individuals will be considered whom efforts have resulted in community-wide economic, social and/or cultural benefits that have had a positive impact on BBBS-ETN. The individual must have made a significant and extraordinary contribution to BBBSETN. The individuals’ achievements and contributions must have had lasting value and importance and must have withstood the test of time. Nominees may be an individual, or individuals and business partners, or families as a single nominee. 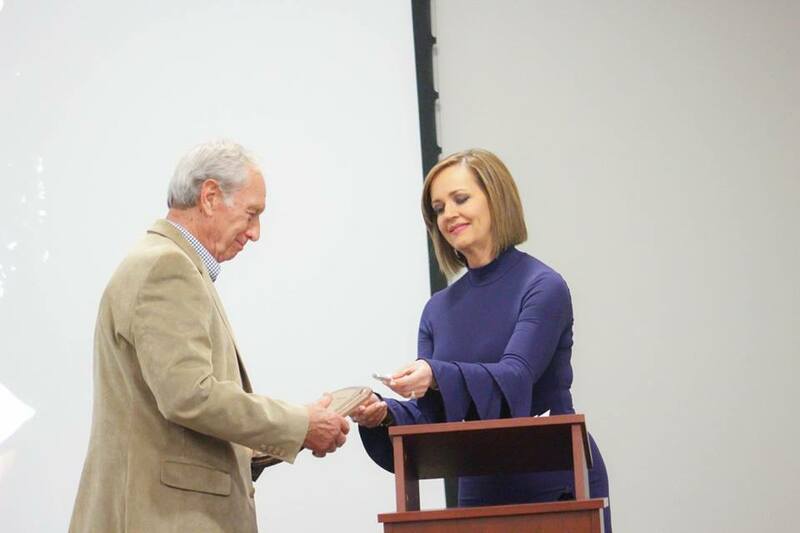 To nominate an individual for induction into the BBBS-ETN Hall of Fame, please complete the nomination form and submit a statement explaining the significant and worthy contributions this individual or organization has made to BBBSETN. Civic and/or philanthropic activities are relevant but not the primary factor in selection. Please complete and return the Hall of Fame Nomination Form and any accompanying documents by email at Development@TennesseeBig.org. Nominations are due March 29th. Hall of Fame 2018 submission is now closed. 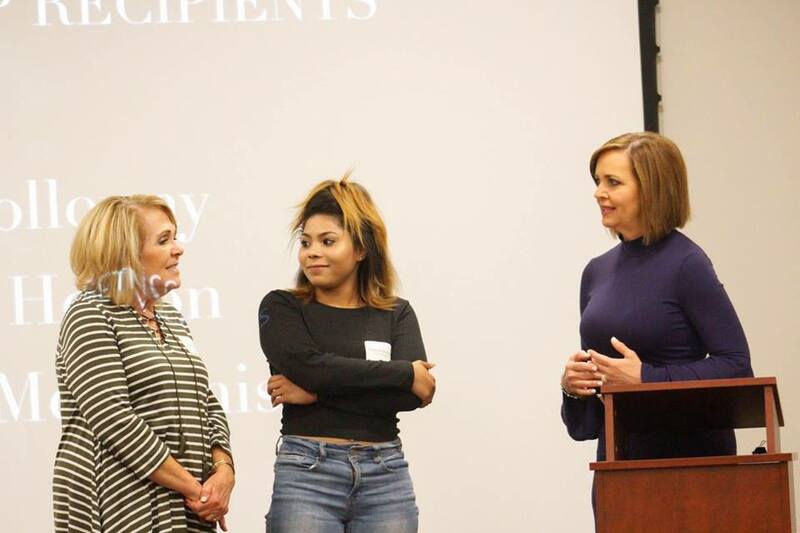 BBBS-ETN celebrates and recognizes graduating Littles who are continuing their post-secondary education by awarding academic scholarships. Congratulations to the three 2018 Scholarship Recipients: Yasmin Horton, Cary Holloway and Grayson McGinnis. 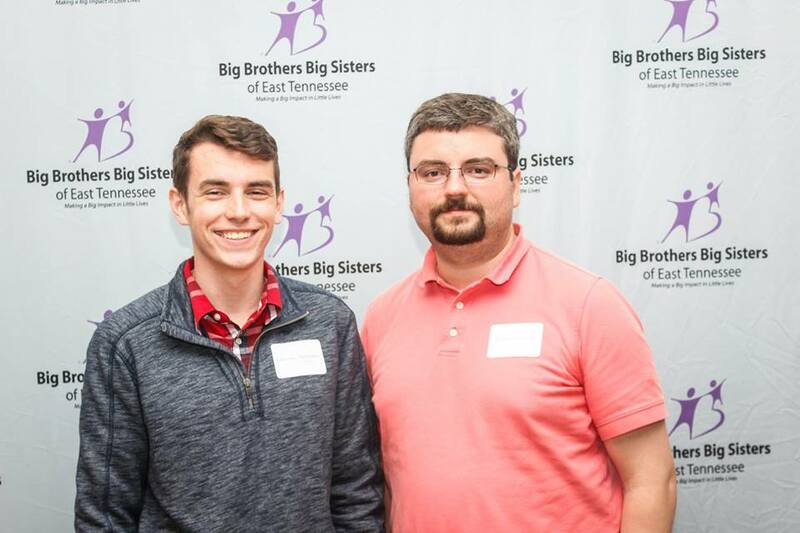 If you are a graduating Little in the BBBS-ETN mentoring program and are continuing your education, you are eligible to apply for the BBBS-ETN Scholarship to aid in the cost of college. If you would like to apply, click here for the Scholarship Application. If you wish to make a monetary donation towards the Scholarship Fund, click here. Scholarship 2018 submission is now closed.